After graduating from Temple University, with a BA in Radio, Television and Film, Kris spent the first 12 years of his professional career in the radio industry, running marketing and promotions. In 2006, he joined a new digital start-up agency—as their first project manager—and serviced a variety of accounts, including TD Bank, GameStop, and PBS. As the agency grew, so did its need for operations process and team planning. In 2010, Kris started to focus on these things, working especially hard to make sure team members were aligned to something that interested them. He also had an impact on the metrics of the business, developing reporting procedures that provided real-time insights into the profitability of each project and account. When the agency was acquired, in 2012, Kris stayed on for another four years, continuing to evolve Operations and assisting with other facets of the business, including the integration of subsequent acquisitions. 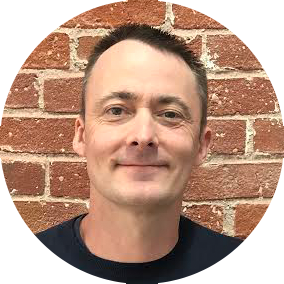 Kris joined FourFront in 2018 as the Digital Operations Manager. Among other things, he is responsible for project processes, team planning, and profitability.